Hi, everyone! Today, I am showcasing an image - Sew Wrapped Up - from Tiddly Inks newest release. You can see all of the new images here. I made this particular card with one of my crafty friends in mind. I also designed the sentiment using computer-generated fonts. 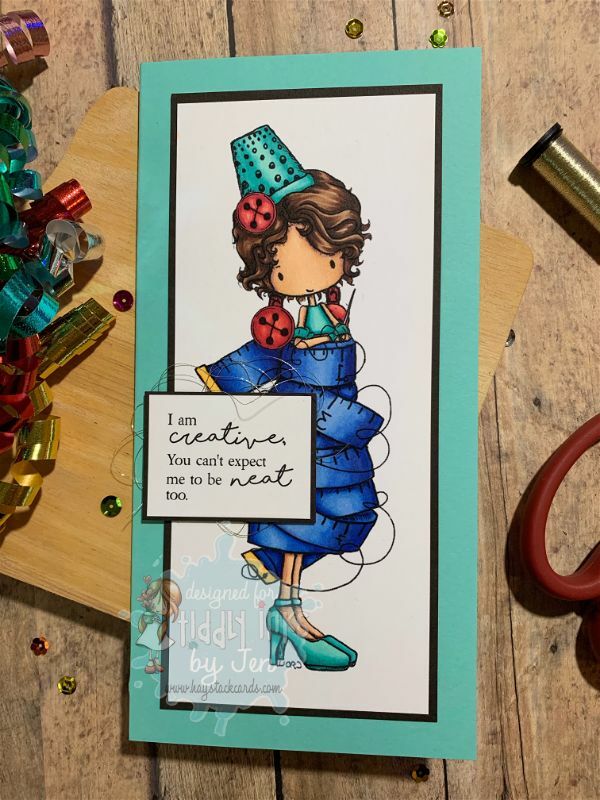 Behind the popped up sentiment is a bundle of metallic thread to go with the whole theme of this card. One of my goals for 2019 is to be more diligent about sending birthday cards to family and friends each month. 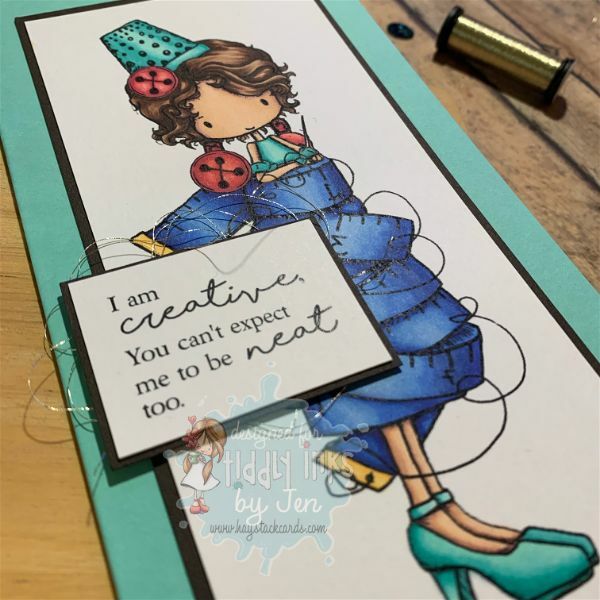 So if you find that most of my cards have a birthday theme, that's why! I colored the image with Copics, layered it on top of some coordinating cardstock and added it to a 4" x 7" side-folding card base. I took the image above and created the image below using the updated Copic v2 app on the iPhone. 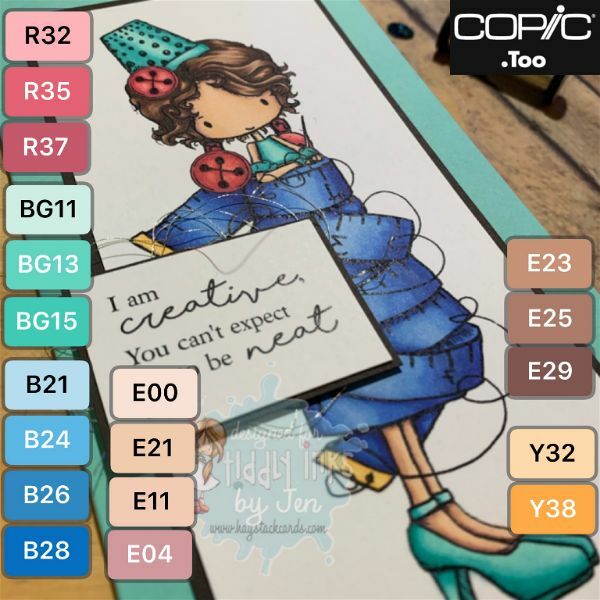 You can edit images, overlay Copic color swatches and share/save images all within the app. Plus it's a great app to keep track of your Copic collection. You should definitely check it out! Have you gotten your little hands on these new images yet? 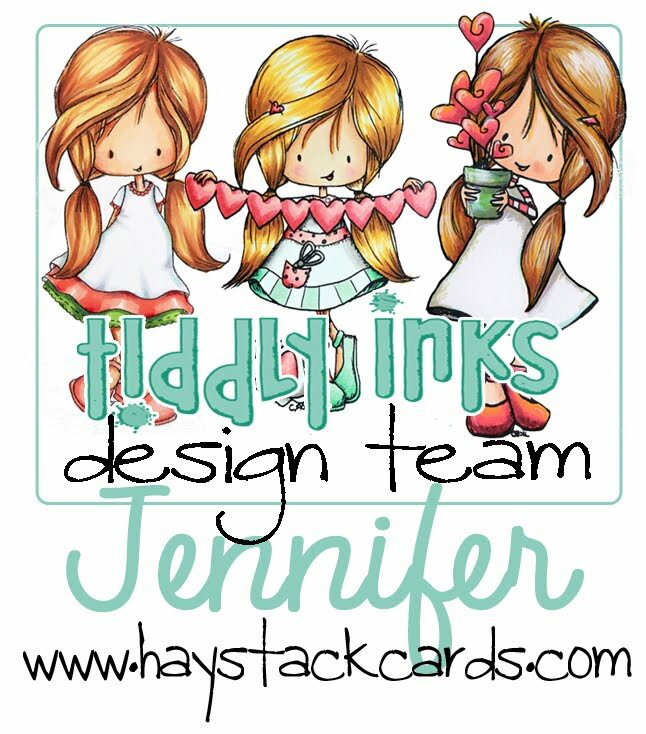 If not, head on over to the shop and don't forget to share your makes within the Tiddly Inks Facebook Group. 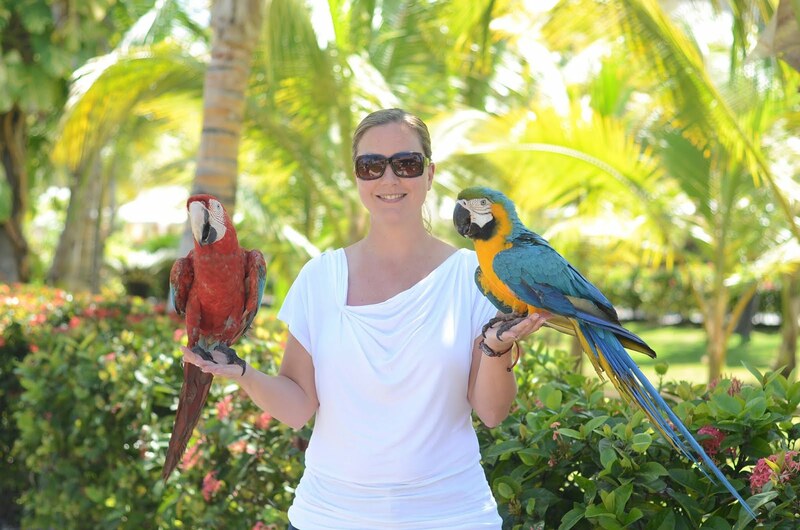 I can't wait to see how you are inspired by Christy's fabulous images. 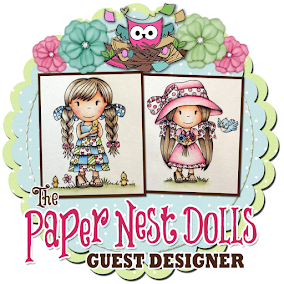 Unfortunately when I discovered this challenge, I didn't have any Paper Nest Dolls in my stash but using a PND image is not required. What adorable images they have! !